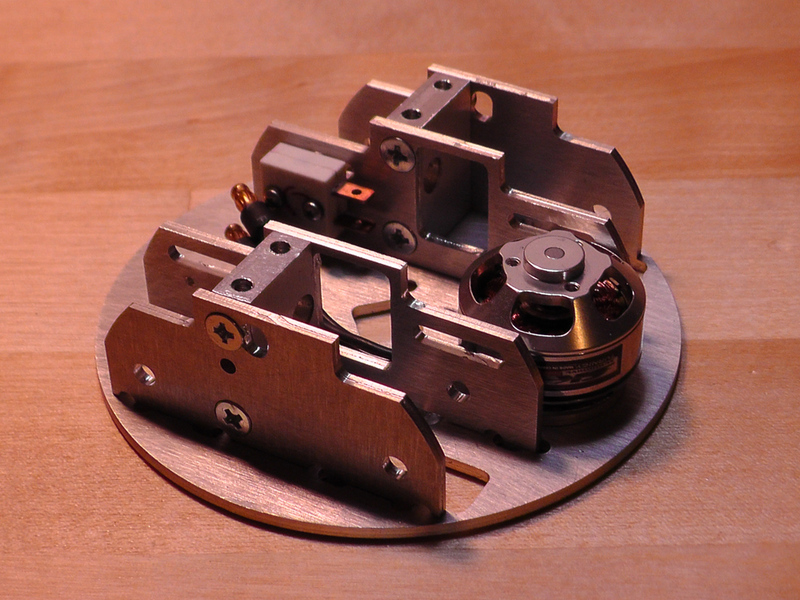 I've been working on a one pound combat robot, similar in design to the three pound Bezek. I'm probably going to call it Hidamari because it is cute. The frame is made from magnesium alloy for lightness and flamability. These blocks hold the frame together and hold the drive motors in place. 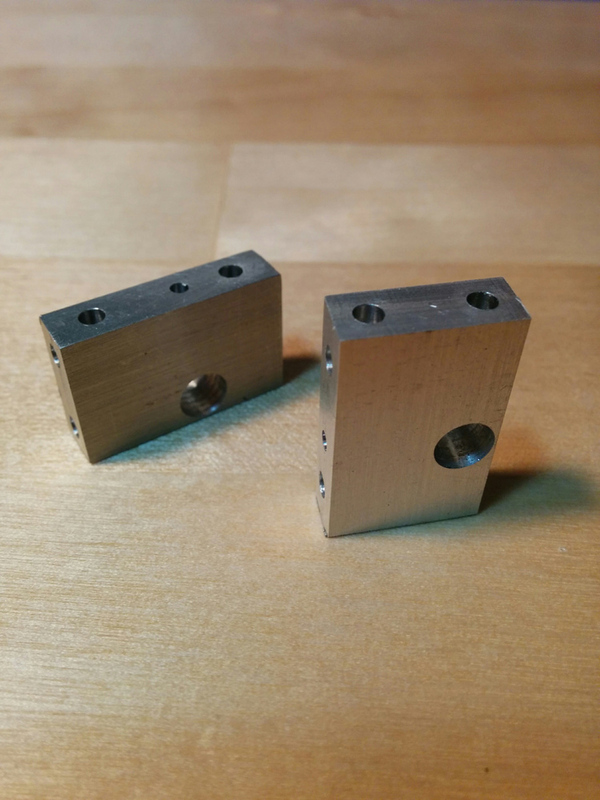 They took a long time to make because they require machining on 5 sides plus tapped threads. Lots of remounting, indicating, and bit switching. 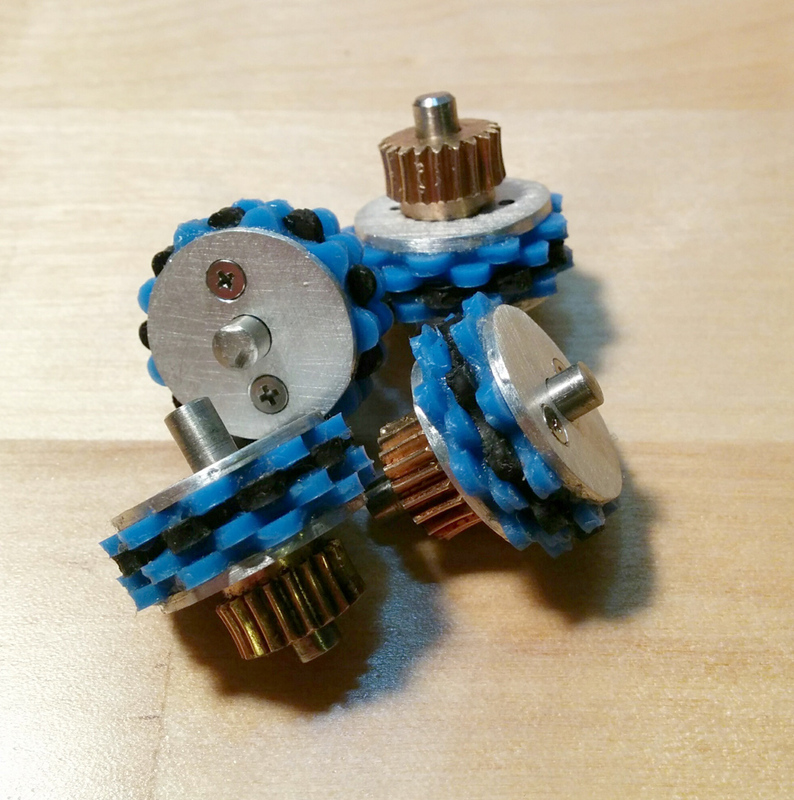 This is necessary both for space - there's no room for the mulitple pre-made right angle blocks I used in Bezek - and for the gearing, which is based on a worm gear and requires 3D positioning. I took the picture before I tapped the threads. Also I ended up remaking them because they weren't 100% square. I might end up making them a third time because of tolerances, oh my god. Here's the chassis assembled with the weapon motor in place. And with the dome on. The dome is spun via friction from the inside - a simple design that worked well on Bezek.. 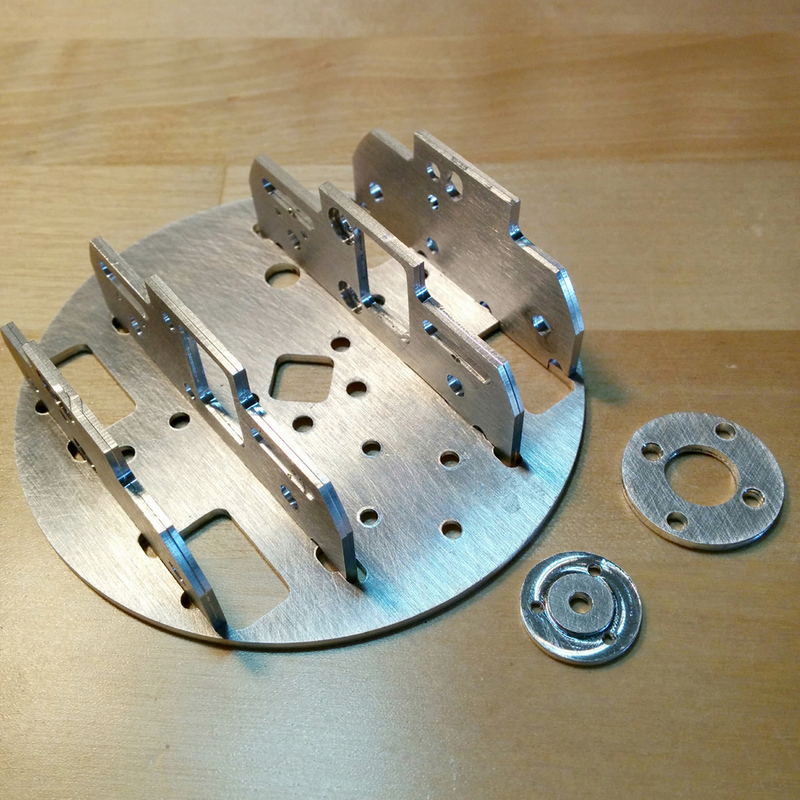 The dome is 1/8" stamped aluminum - much thicker than the stainless steel on Bezek. The thicker material holds its shape better and I hope to be able to bolt weapon teeth and self-righting bits directly to the dome instead of silver-soldering. I would have just upgraded the dome on Bezek, but they come in either 6 inches or 8 inches. 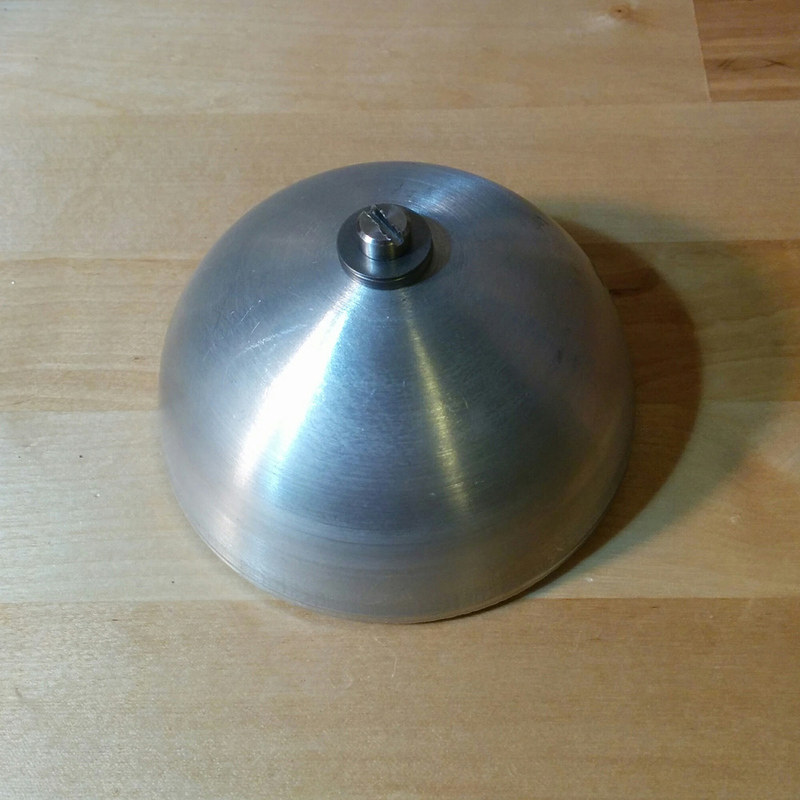 Bezek's current dome is ~6.3 inches and dropping down to 6 would require smaller wheels, which means different gears, which means different motors and a different chassis - basically a complete rebuild. So if I'm starting over anyway, I decided to go for a different weight class where the proportions of most arenas work better. I made custom wheels. This was comparable in complexity to the entire rest of the robot and I don't recommend it. Unless it works, then everyone else is a fool for not doing it. I prototyped the receiver motherboard in cardboard to make sure everything would actually fit. The dome is only 4 inches in diameter so everything is really densly packed. 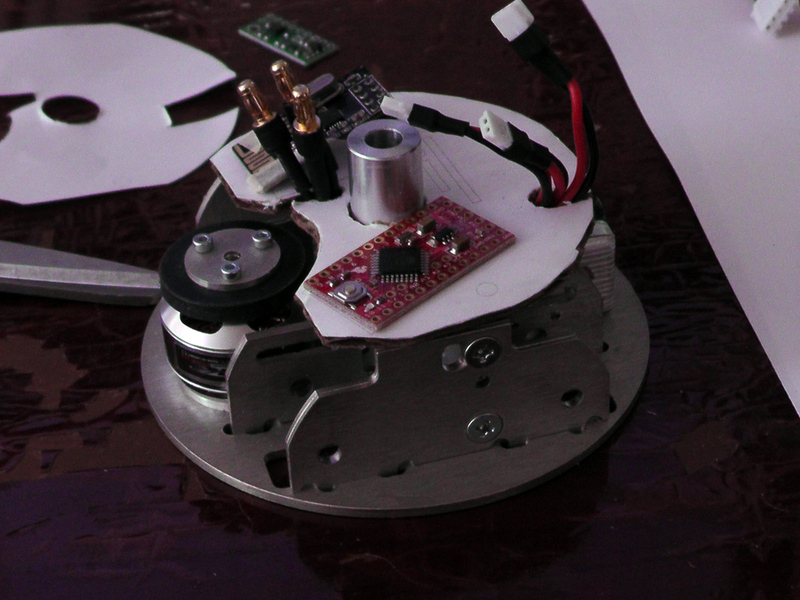 I ended up designing it to have the voltage regulator and gyro modules mounted vertically. You can also see the weapon motor drive tire mounted here. Spinning up the non-weaponized dome, using Bezek's electronics. There's a little bit of vibration but it's not catastrophic - certainly much calmer than Bezek at full throttle. Hopefully I can get it fully ballanced once it's weaponized. Could you put some celery on it when on full rev so that we can get a sense of the power the spinning does? >I'm probably going to call it Hidamari because it is cute.